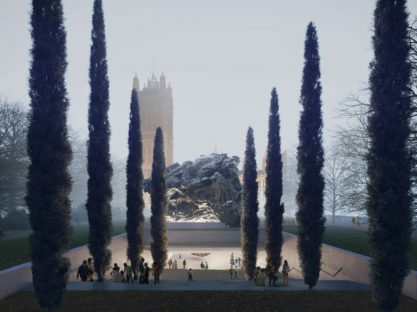 The catastrophic events of the Holocaust took place outside the UK and the mass graves, remnants of atrocity and concentration camps that are found in mainland Europe do not exist on British soil. 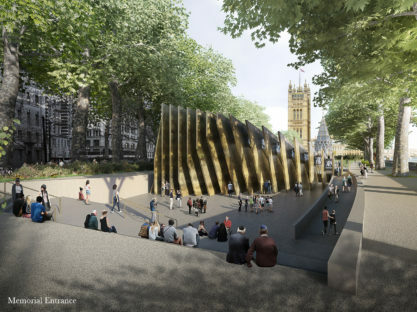 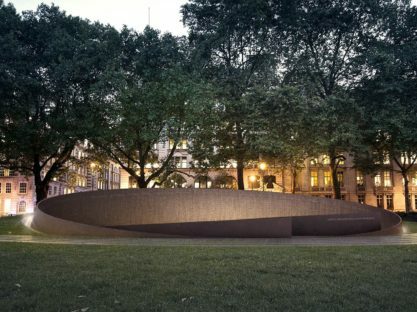 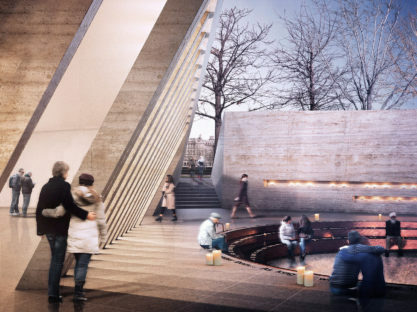 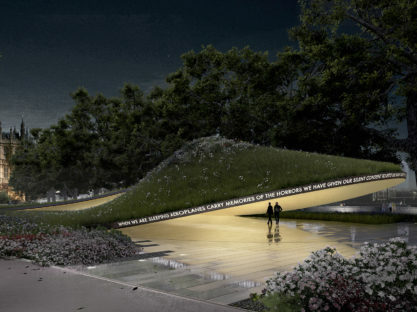 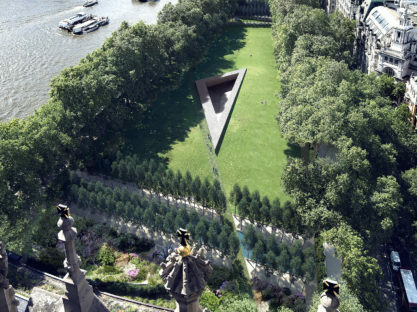 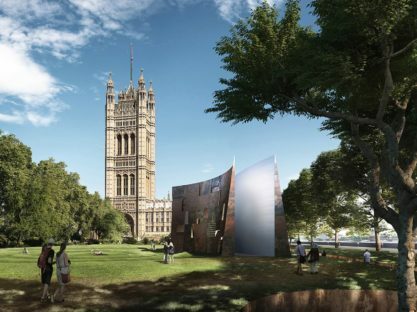 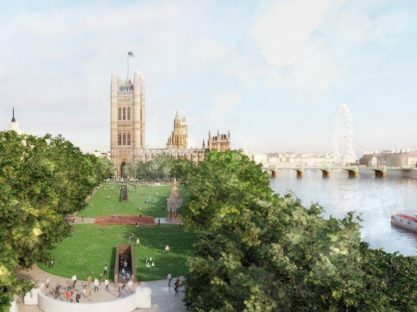 A memorial in London will not, therefore, commemorate a particular place, but instead it can embrace a universal theme and foreground the first-hand testimony of survivors. 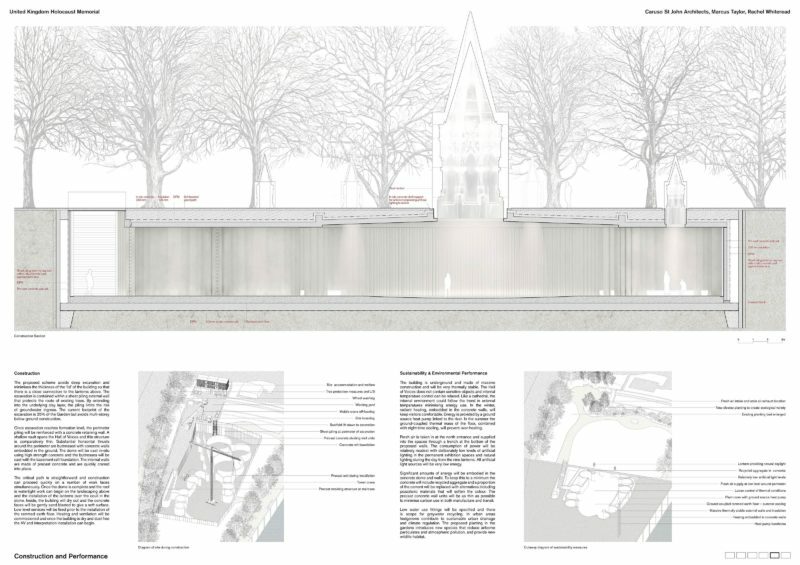 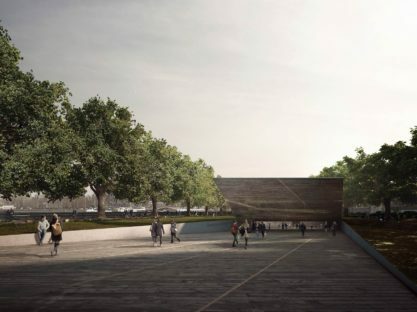 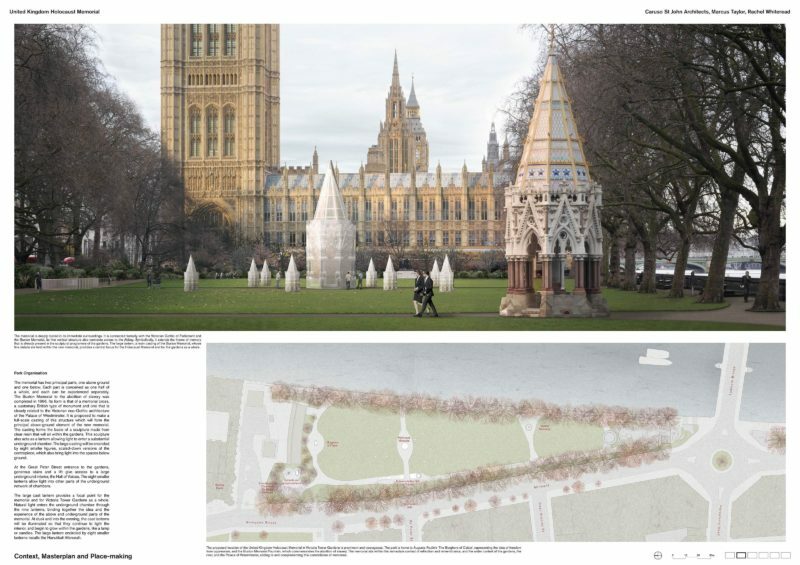 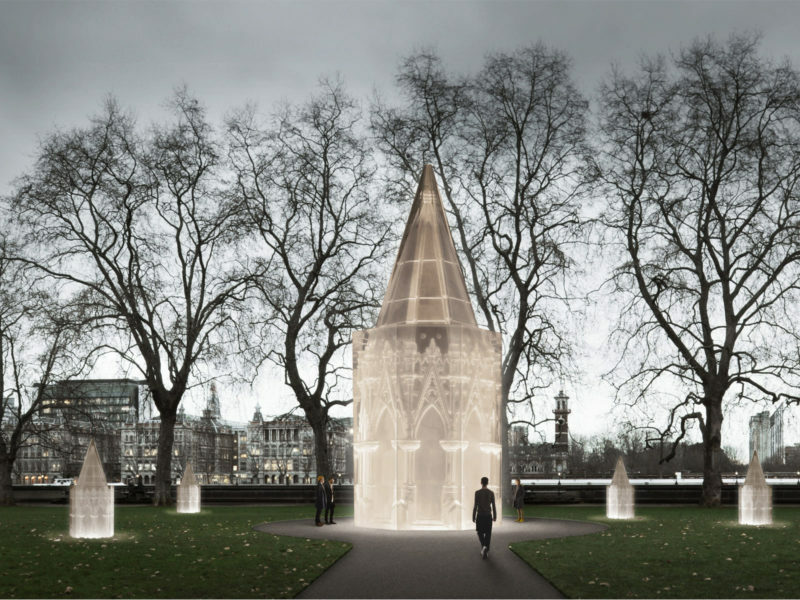 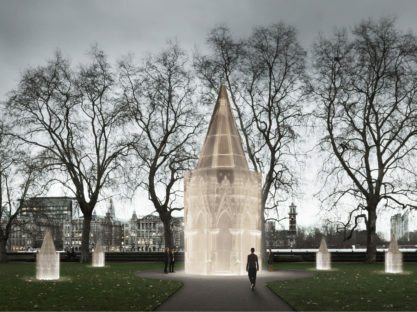 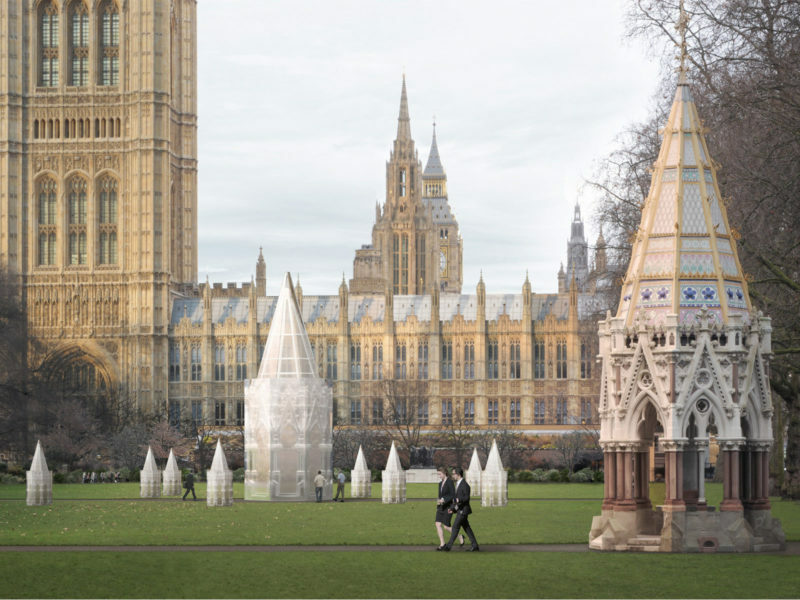 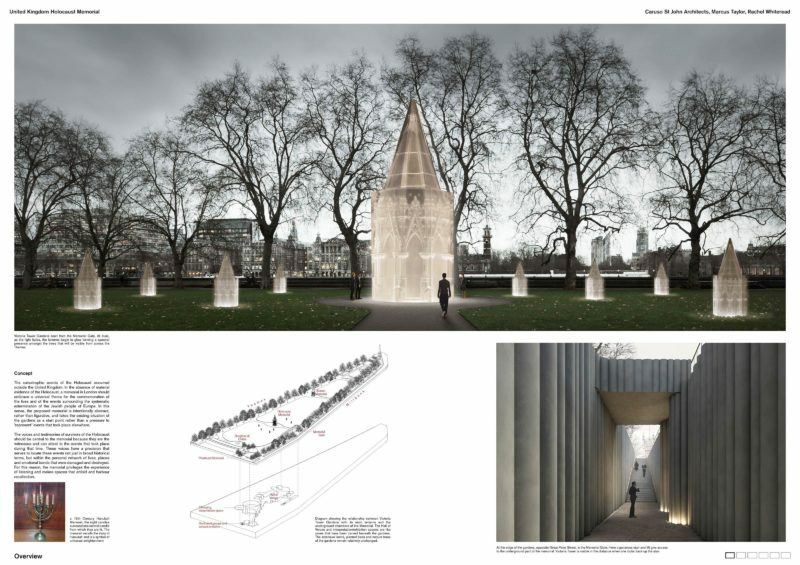 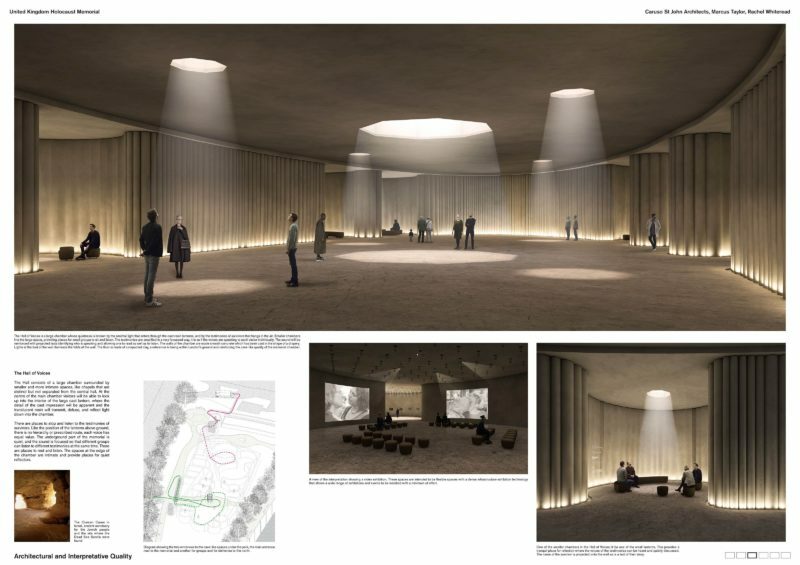 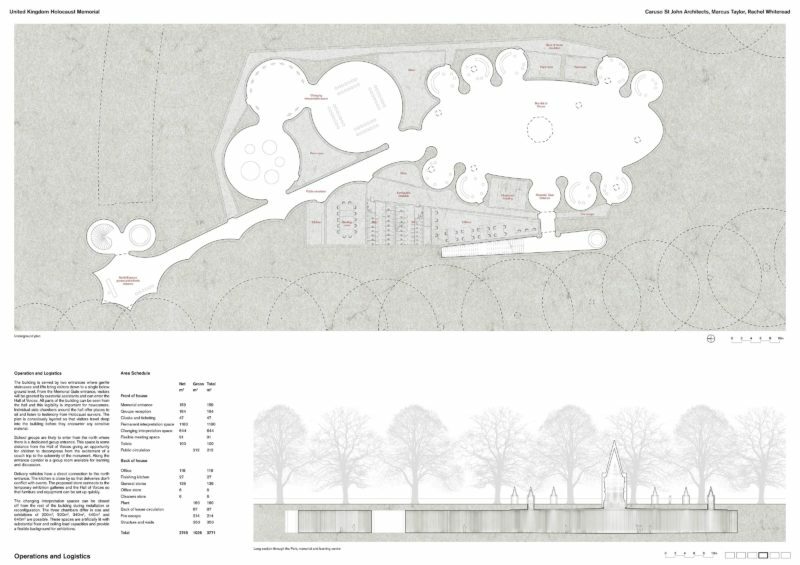 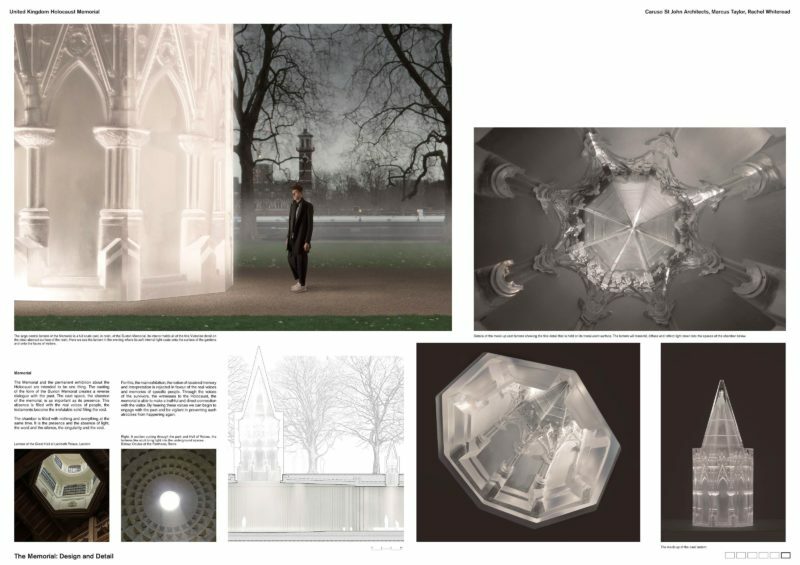 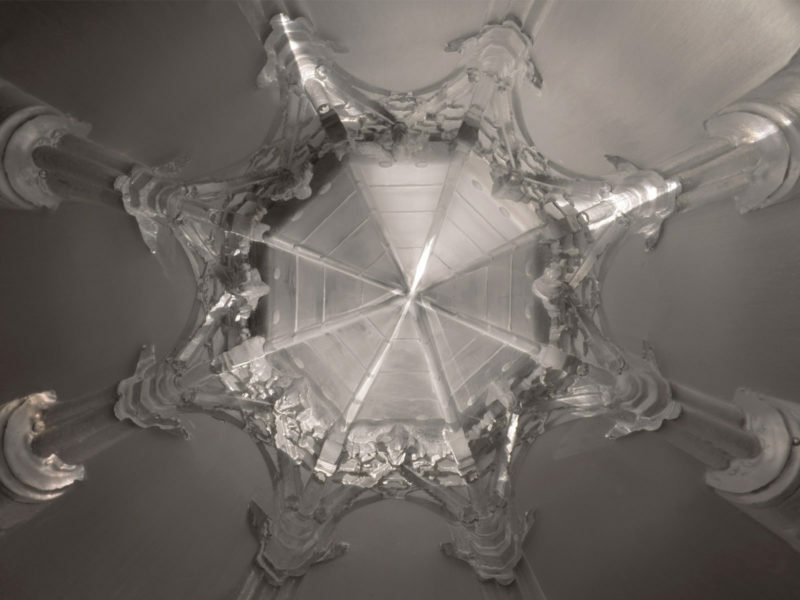 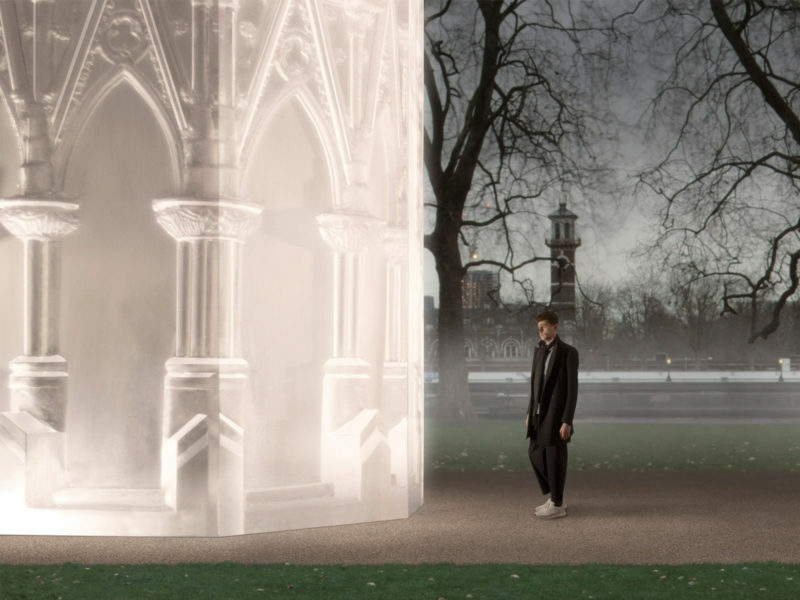 Caruso St John, Marcus Taylor and Rachel Whiteread’s proposal consists of two parts – a cast, translucent sculpture above ground and a series of large chambers below ground. 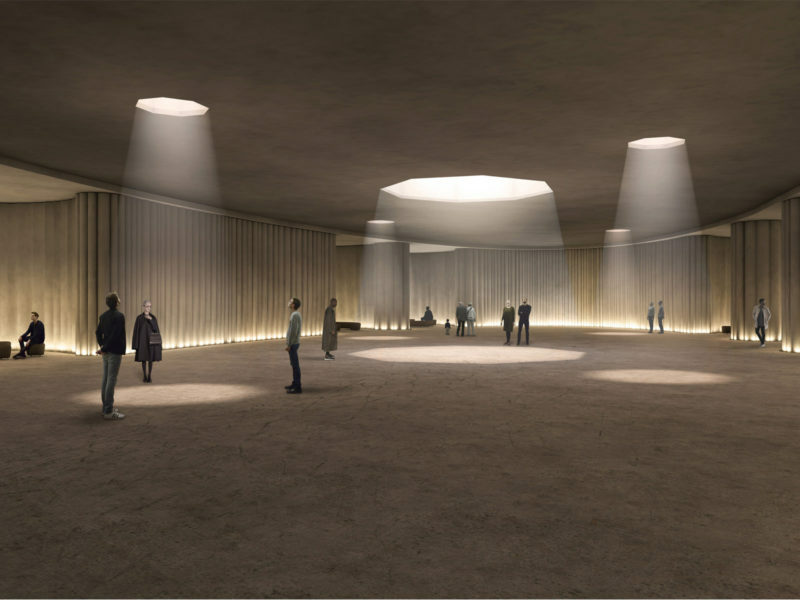 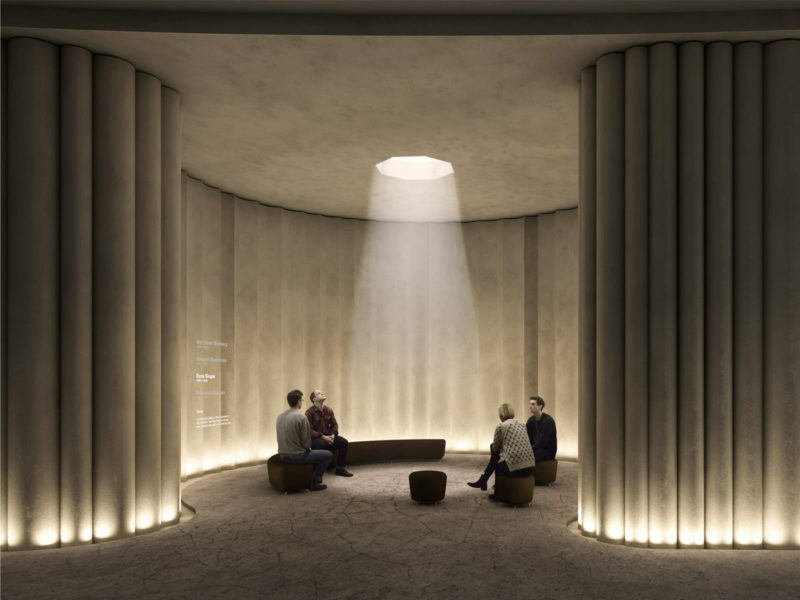 The sculpture brings natural light into the largest and most memorable of these spaces – the ‘Hall of Voices’ – where visitors will hear the accounts of Holocaust survivors and discover directly the network of lives, places and emotional bonds that were destroyed.